The Teifi Valley Railway (Rheilffordd Dyffryn Teifi) is a 2 ft (610 mm) narrow gauge railway operatin between Henllan and Llandyfriog along the River Teifi, West Wales. It is built on the GWR part of the Carmarthen and Cardigan Railway and operates on about 2 miles of track. 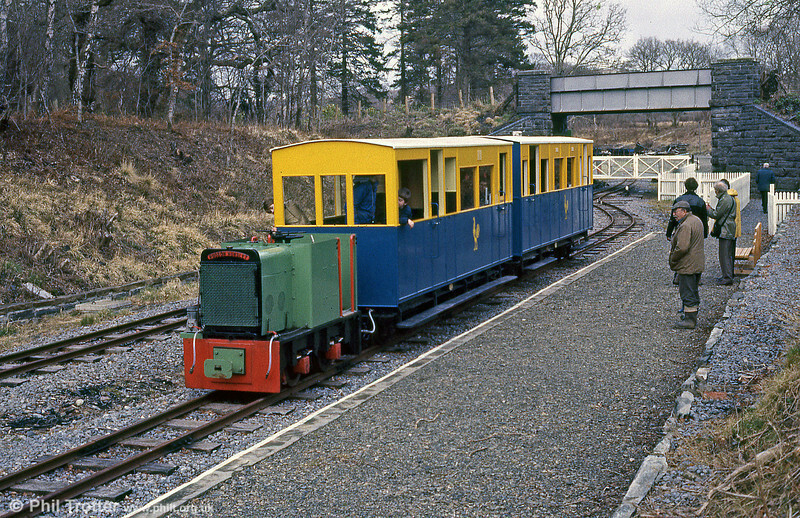 Early days on the Teifi Valley Railway with a Hudson Hunslet (HE2433/1941) 4wDM diesel 'Sholto' at Henllan, April 1986.